The ACM SIGGRAPH / Eurographics Symposium on Computer Animation (SCA) has been the premier forum for innovations in the software and technology of computer animation since 2002. 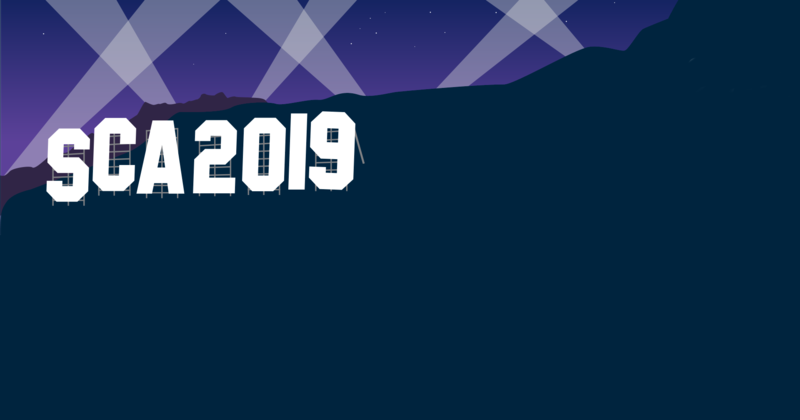 The 18th annual event will be held in Los Angeles, July 26-28, 2019. SCA unites researchers and practitioners working on all aspects of time-based phenomena. Our focused, intimate gathering, with single track program and emphasis on community interaction, makes SCA the best venue to exchange research results, get inspired, and set up collaborations. We invite submission of original, high-quality work in the form of technical papers, sketches and posters. Details for submitting your work can be found in the For Submitters menu. Previous websites of SCA can be found from here. © Copyright 2019 SCA 2019. All Rights Reserved. The Conference Pro by Rara Theme. Powered by WordPress.